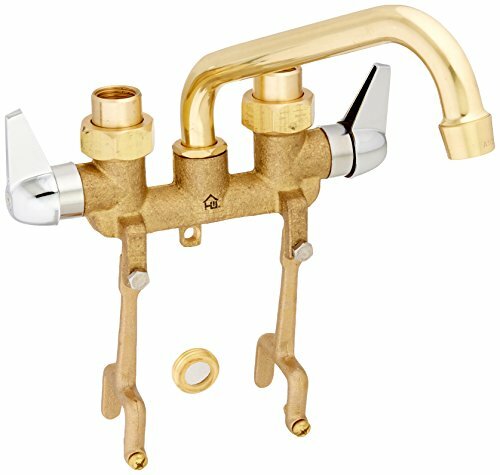 The Homewerks 2-handle laundry Tray faucet with legs in rough brass features cast-brass housing construction for long-lasting performance. The handsome rough brass finish can help add a touch of warmth to your laundry area. This faucet's 6-inch brass swivel spout is fitted with a hose end for your convenience. If you have any questions about this product by Homewerks, contact us by completing and submitting the form below. If you are looking for a specif part number, please include it with your message. Hunw8|#Huntington Brass W4320602-2 Cypress 4 Inch Center Set Lavatory Faucet. 2-Handle. Pvd Satin Nickel Finish.